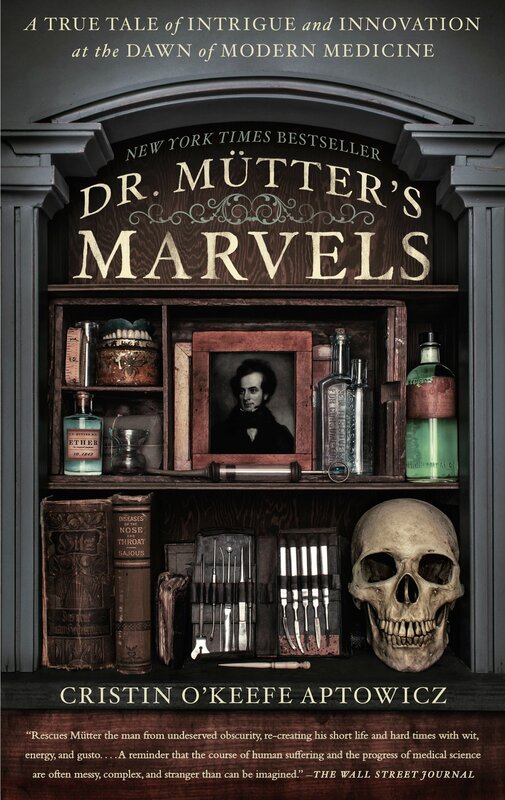 Dr. Mütter’s Marvels has a boisterous tone in comparison to the contemplative one of Montross, but is equally worth the read. Philadelphians and visitors to the City of Brotherly Love are likely to recognize the name “Mütter” from the popular Mütter Museum. Cristin O’Keefe Aptowicz constructs the biography of the flamboyant surgeon who collected the items on display there, and as if that story were not fascinating enough, provides a good deal of information about the state of nineteenth-century surgery, medical schooling, and urban life. I don’t plan on any late middle-age crisis that leads me to a medical career, yet I found myself fully absorbed into these two very different insights into doctors and their training, in the old days and in our own.